Prometteur Solutions offers professional services with creative design which engage your audience and ensures an effective transmission of your message. Our team focuses on converting innovative ideas into functional website designs that enhance your presence on the World Wide Web and help to boost your internet marketing and overall business goals. Our experienced design professionals create customized look and feel to match services and product. Every website design and development is implemented taking into consideration Search Engine positioning and placements; our design architecture is targeted towards a specific audience. We are completely dedicated to the success of each project. To enhance the efficiency of product we take care of every minute factor from developing to recommend our clients best suitable web hosting services for their web structure. 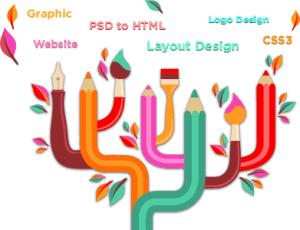 Our team is the collaboration of expertise from various sectors, they love to work for benefit of our clients to provide them custom web design services. Customizing existing web pages and websites. Our web designs are best for easy content management for clients themselves. Our custom design help search engine optimization which is the crucial part of today’s competitive world, by following latest trends in web design, navigation and layout we will be able to provide you with excellent web solutions that are custom to your goals, requirements and budget.